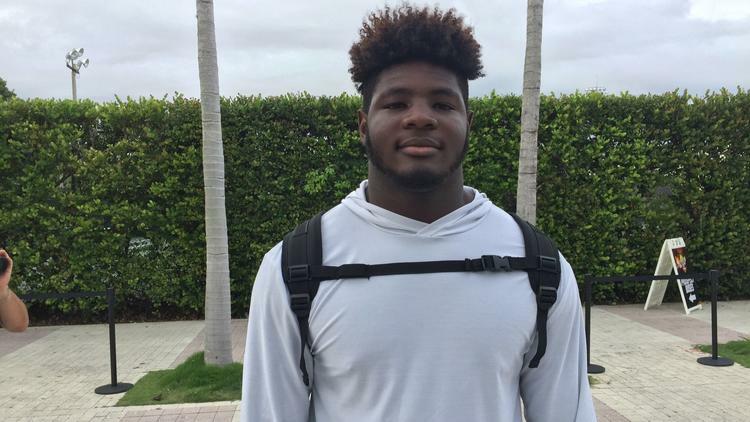 he Miami Hurricanes added to their way-too-early top-ranked 2021 recruiting class with a commitment from Southwest Miami defensive tackle Savion Collins on Sunday night. Collins chose UM over early offers from Florida, FAU, N.C. State, Southern Miss and Charlotte. 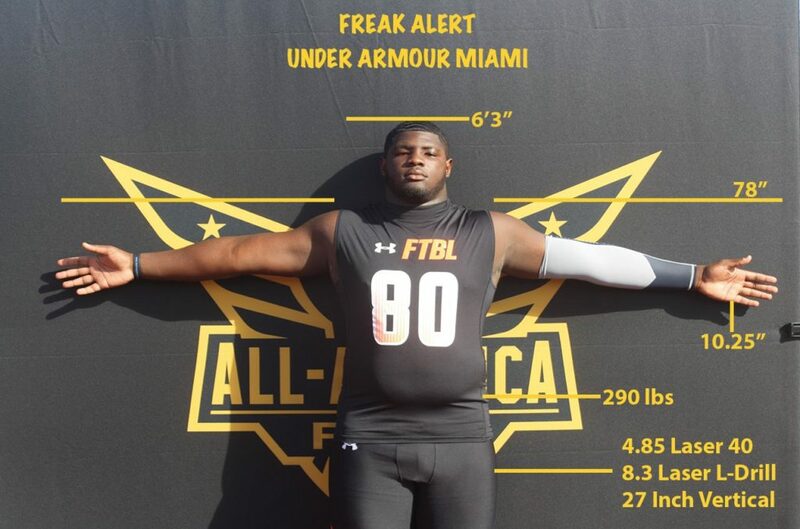 The 6-foot-4, 265-pound sophomore added that he likes what coach Mark Richt and defensive coordinator Manny Diaz have planned for him schematically. While players in the class still have more than 2 ½ years before they can sign with Miami, the Hurricanes have put together the nation’s top-ranked 2021 class, according to 247 Sports. 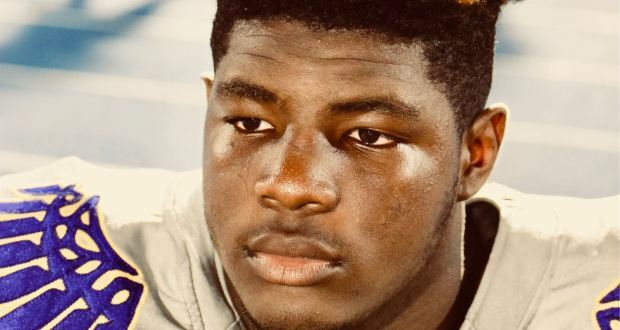 The class also has five-star American Heritage safety James Williams, five-star Miami Booker T. Washington defensive end Donell Harris and four-star Miami Central offensive guard Laurence Seymore. Collins is yet to be rated by 247. Through three games for the Eagles, Collins has nine tackles and three for loss. 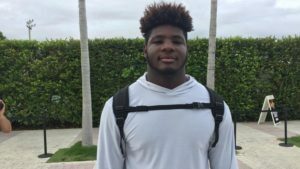 On a hot Saturday morning on the campus of the University of Miami, 2021 DL Savion Collins put many on notice at Head Coach Mark Richt’s Camp. Collins at 6’4,” 265 pounds, put his power and speed on display in front of the Miami coaching staff and earned respect and an on the spot offer from the Canes which would be his first from any university. Collins had to take a moment to process the surreal experience. The one on one drills are what really separated Collins from his competition on the field last Saturday. Collins went through the drills with a heavy heart as his great uncle who he grew up with passed away. He was contemplating not attending the camp at all, but decided to attend to take his mind off the recent occurrence. Collins is a native of Miami and his parents allowed him to play organized football for the first time during his freshman season at Southwest Miami High School. His father, from Jamaica and mother from Guyana, are not greatly familiar with the game of American football, but after hearing the news of the Miami offer, both parents could not contain their elation. His mother and grandmother are hoping that Savion commits to Miami, but his dad who completed college at FIU would like to see his son at his alma mater or Florida State. Collins is currently on a visit at Florida State and plans to visit Georgia State, Charlotte, South Carolina, Clemson and Florida in the next upcoming days. Collins received additional offers from Charlotte, FAU and NC State this week. Kentucky also reached out to Savion for a visit. Collins started at left tackle at Southwest and switched to defensive line toward the end of the season. The standout defender feels his breakout game was against Belen Jesuit. Southwest suffered through a 2-7 season last season and is looking to build on the momentum built this week and take that into the 2018 season.